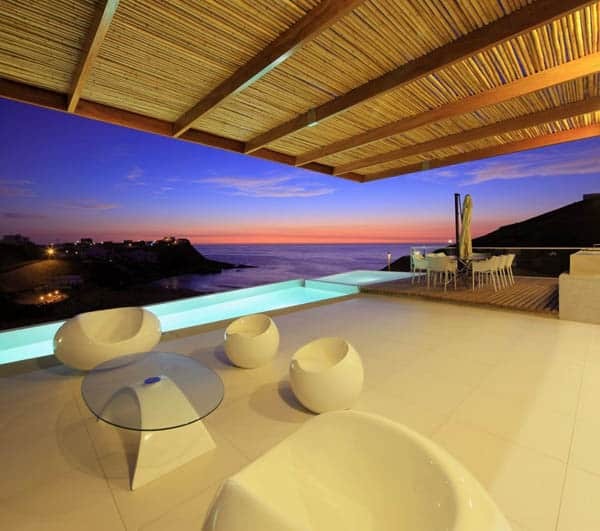 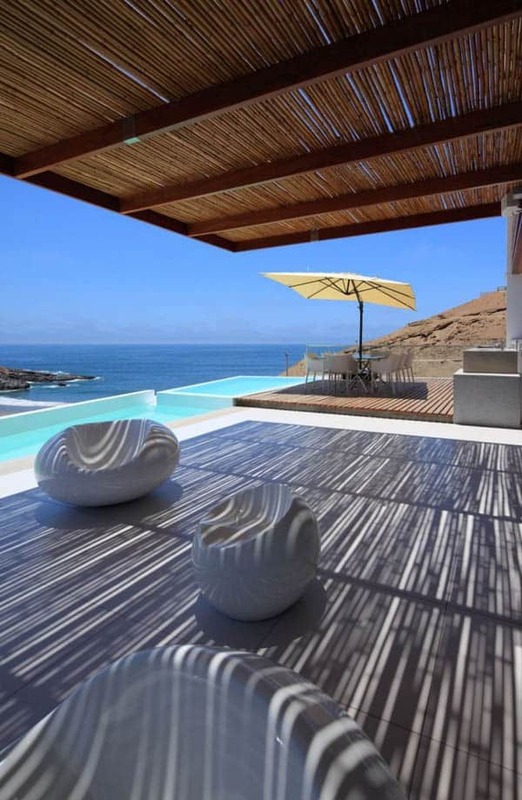 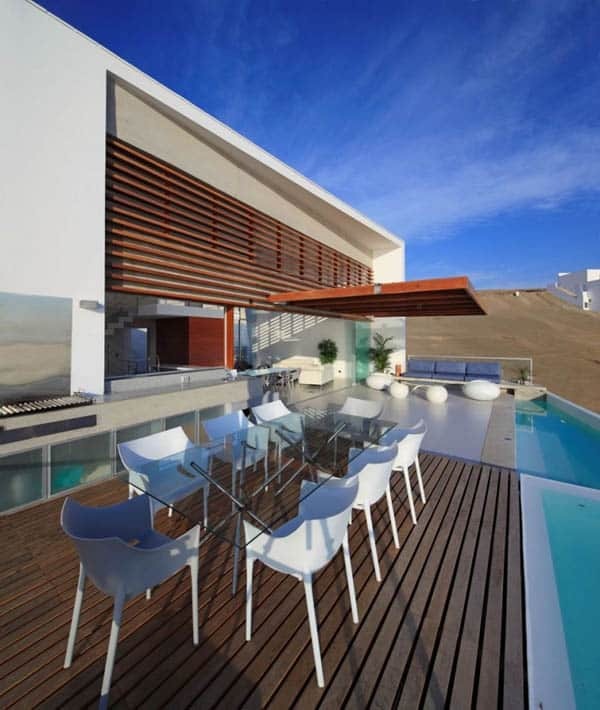 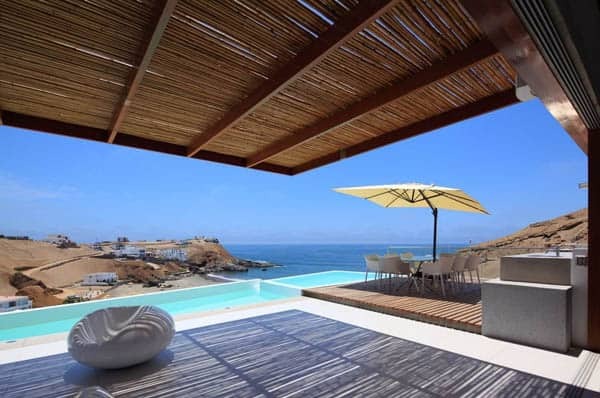 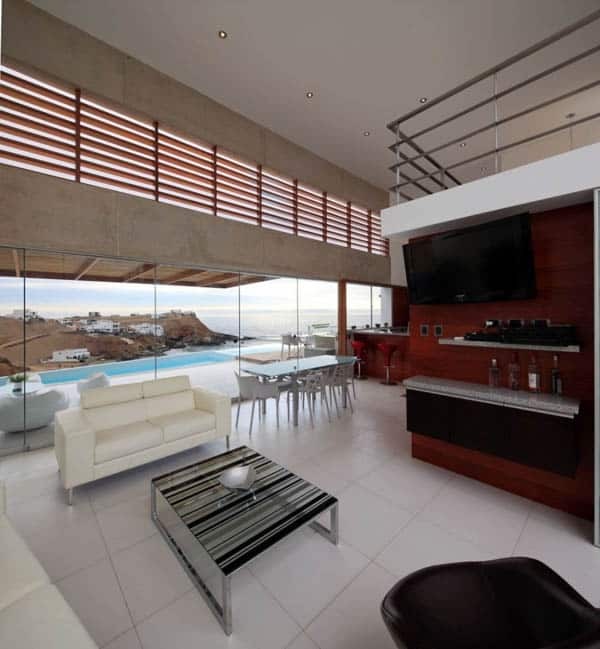 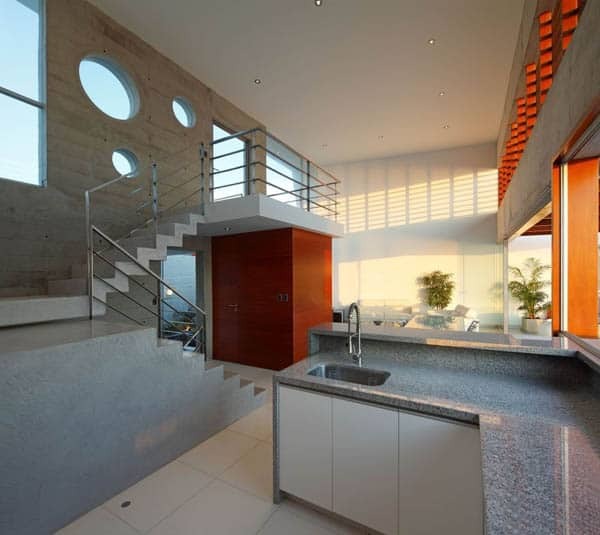 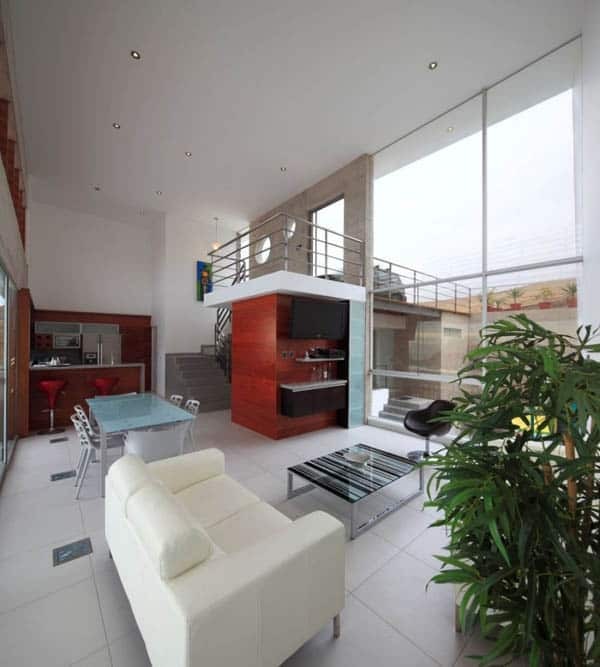 Beach House E-3 is a sleek modern property designed by Vartice Arquitectos in Palillos Beach, Lima, Peru. 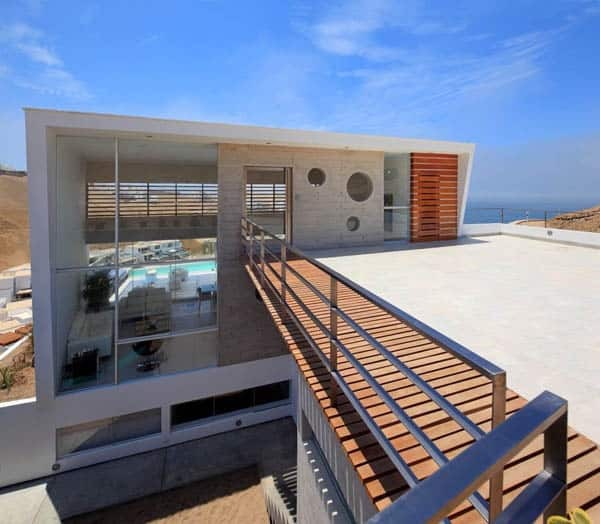 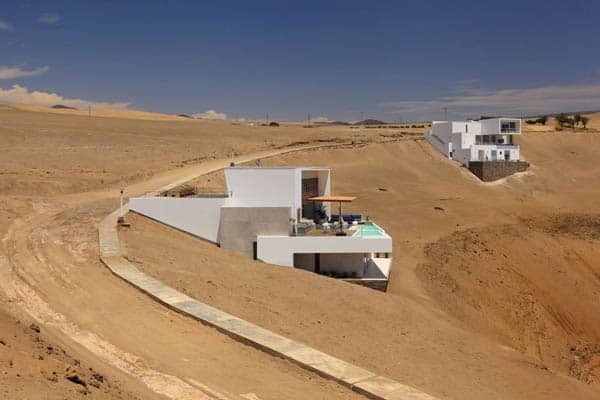 The project develops on an irregular shaped terrain inside a difficult area, but with a privileged view to the sea in the lot E-3 from “Palillos” beach, at the south of Lima. 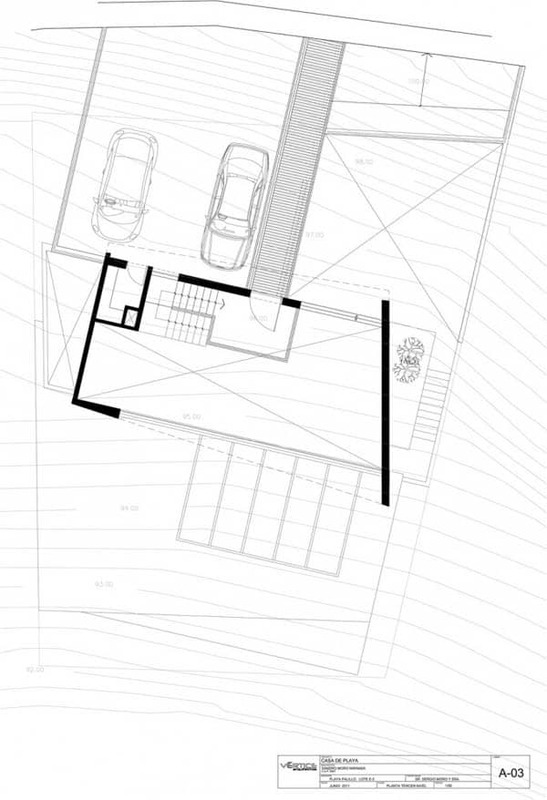 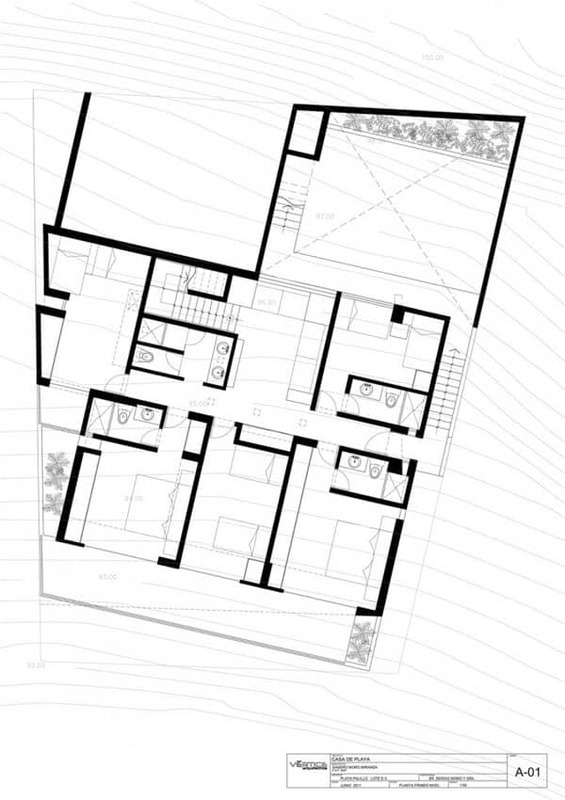 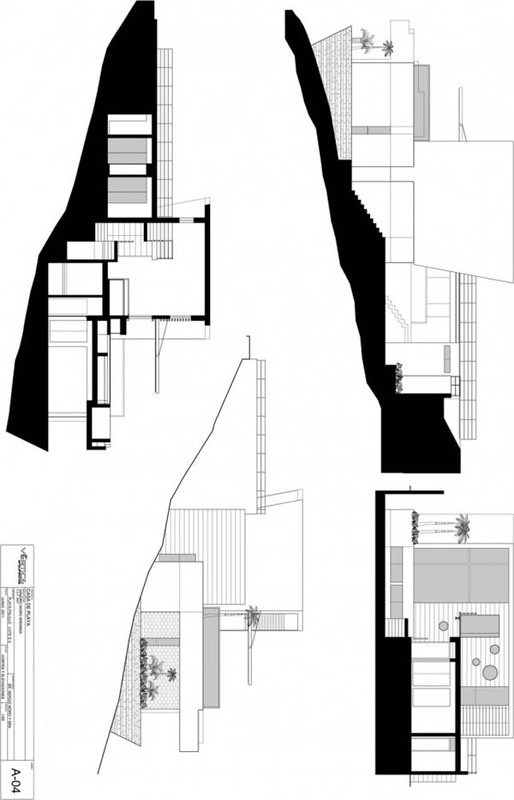 Taking advantage of the lot slope, the 3,186 square foot (296 square meters) project is a volume set working with various materials and textures in three levels that work together as a unit, obtaining several space relations between the interior and the outside. 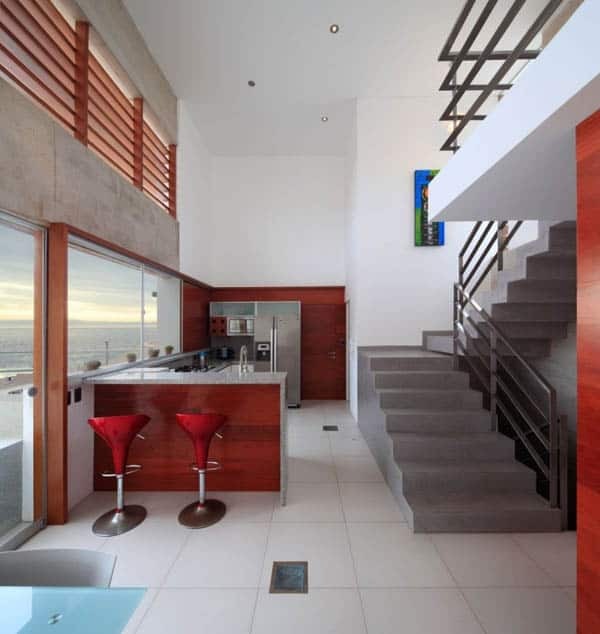 The most important request in the design by the client was to take advantage of the incredible sea views from most of the rooms throughout the home. 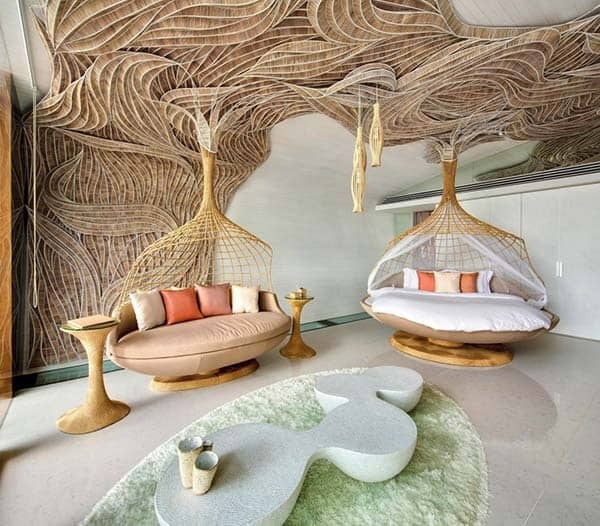 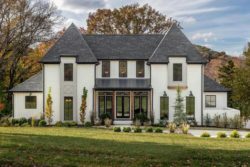 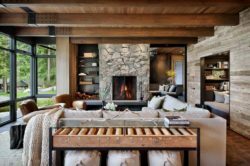 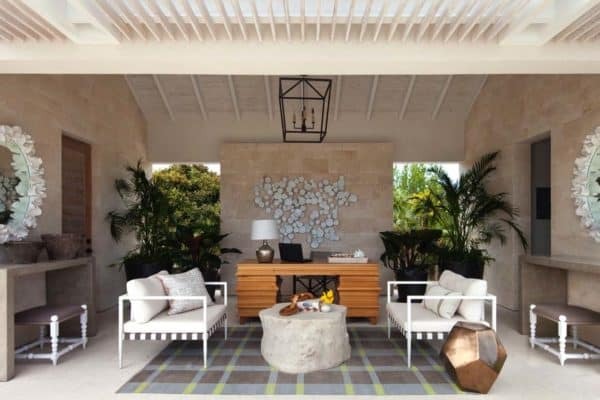 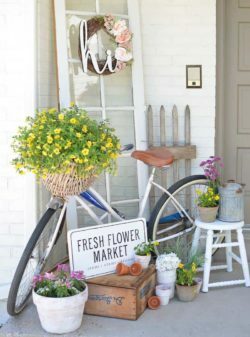 Additionally, the most important space is the social area and there should be independence and tranquility for the private areas from the rest of the home. 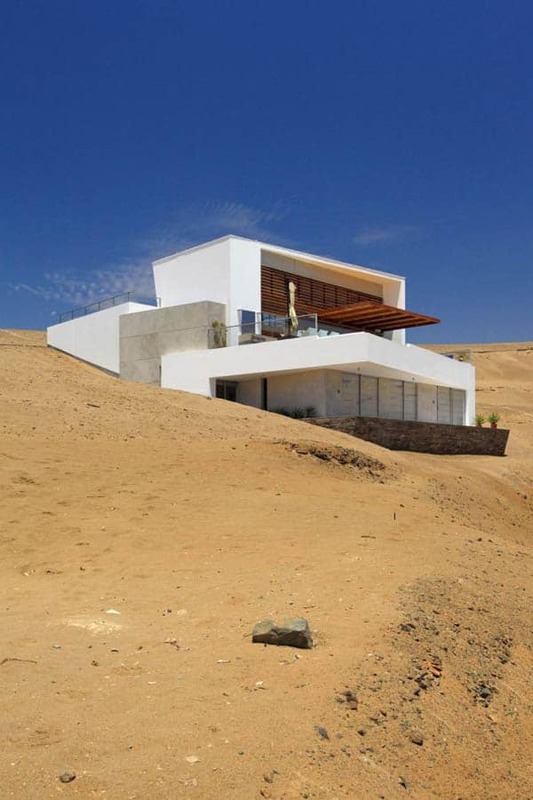 According to the requirements of the beach, the volumes are designed at different levels like platforms on the ground, which emphasizes the principal volume. 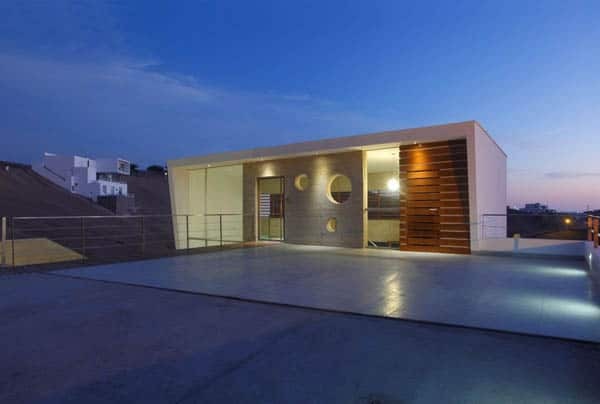 The central space is closed on either side to avoid direct solar entrance and eye contact with the neighboring properties. 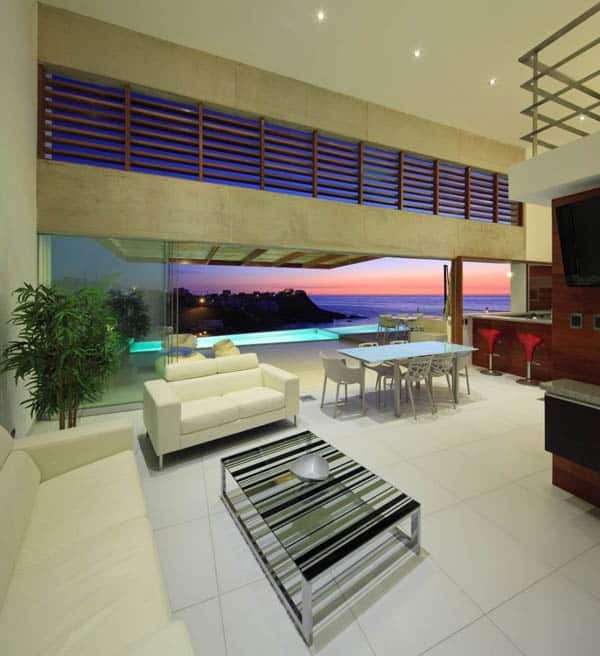 However, the sea view in the other direction is practically transparent. 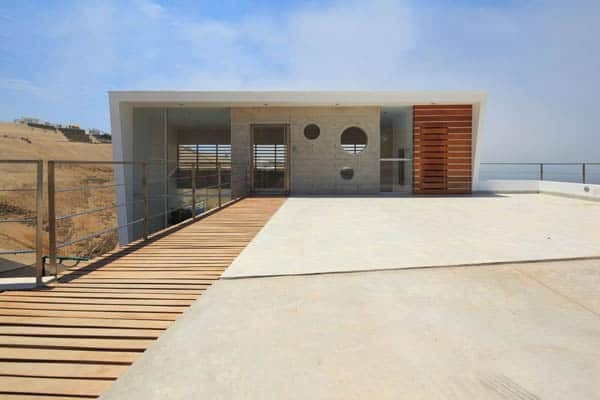 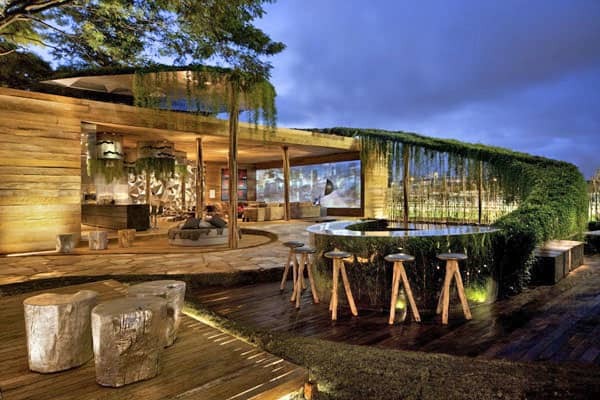 The entrance to the master volume is accessible on the third level via a wooden bridge that crosses as a dock and ends in a double height floating hall that is a lookout to the sea and the social area. 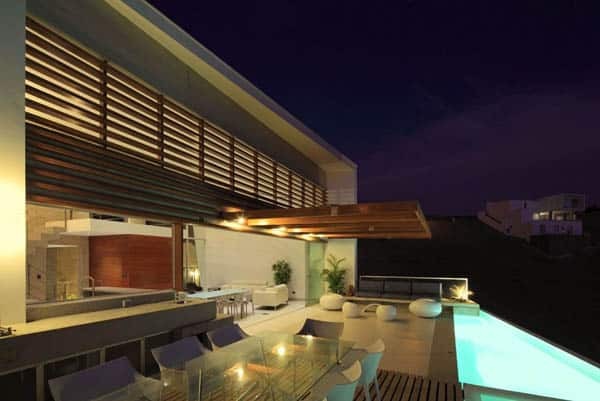 At the second level, inside and outside of the double height, is the social area that ends with the swimming pool as a limit to the sea. 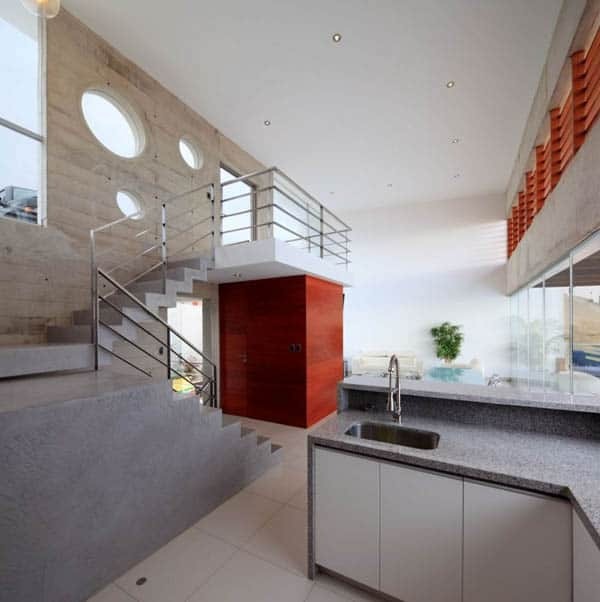 While in the back of the home, below the middle level is a yard that serves as a social and sand play area for the children. 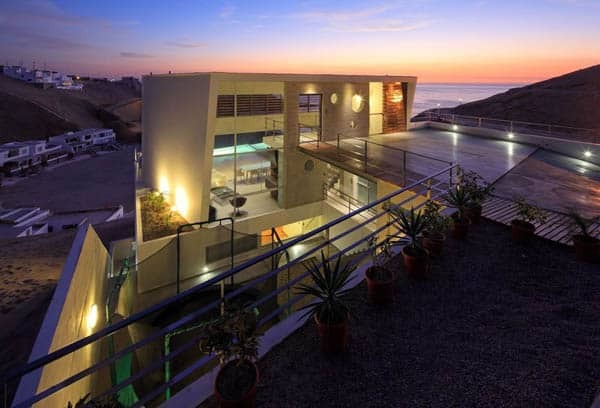 At the first level and completely independent from the top, are 5 bedrooms that revolve around being as a distribution hall, most of them have balconies and the privilege of views of the sea. 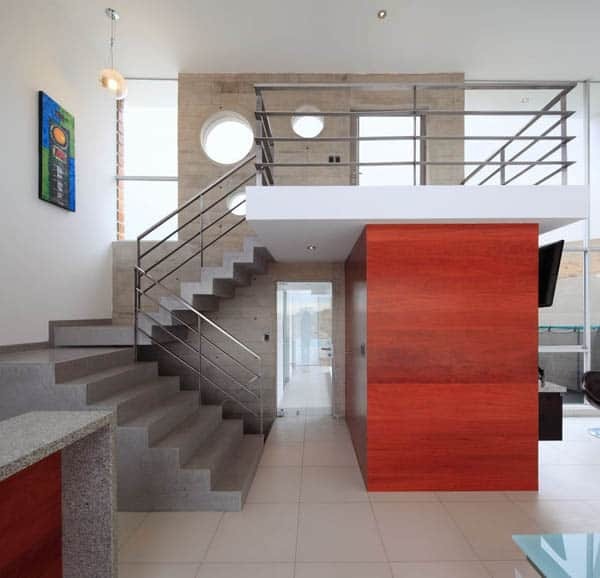 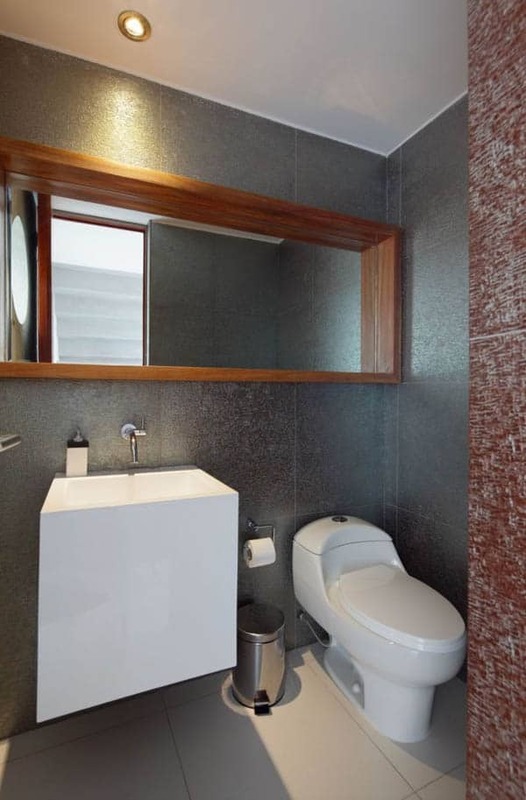 Visit the website of Vartice Arquitectos here.